The Venom replaces the Race with a refined outline for 2018. The narrower outline and diamond shaped tail make the Venom nimble rail to rail, and lightning fast down the line. The nose is narrower for charging the lip harder and faster without the chance of digging the nose. 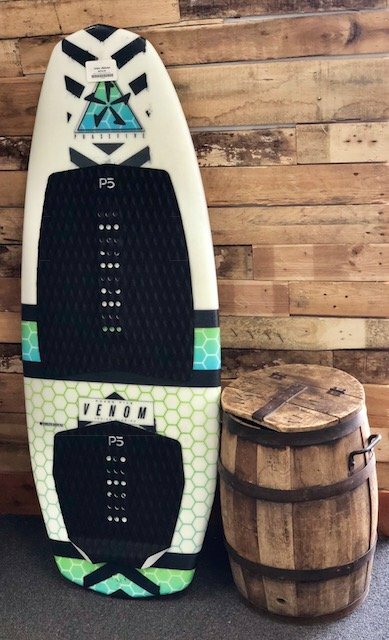 The Venom is the go to performance board for the rider on a budget. 53.5 53.5" × 19.5" × 1.75" 18 Liters 190 Lbs.